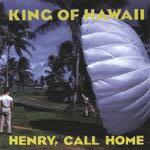 King Of Hawaii's second CD does not disappoint! This is a splendid collection of original tracks in what has become a readily identifiable and unique writing style from the pen of Mark Klebeck and his cohorts. This CD is splendid. I listened to it 5 times all the ay through when I first got it. They've captured a true representation of their sound within these tracks, and an infectious sound it is. They have a happy and vibrant sound, a very strong sense of composition and melody, and a sense of ensemble frequently missed. This is a totally wonderful CD. Highly recommended. This is fave of the band, hence it's pole position on the disc. It's high energy, melodic, and roundly infectious. The playful break provides an aside from the driving main melody. This is among my favorite KOH tunes, with it's rich playful damped rhythm and open lead dueling for honors. The interplay is spectacular, and the infectious melody is magical, almost laughing as it slides through your ears. Perfectly delightful. Well played cactus soul. It dances across an Arizona canvas brimming with tumble weeds, purple canyons and an orange sunset. Superb wagon train hoe-down. This is a rhythmic and mighty unusual tune, powerful, and suggestive of playful metropolis congestion, like a sped up video of pedestrians at lunch. Spiffy. This is not a sleepy little number, more akin to the playful scampering of the animals while the townspeople sleep. Melodic, and infectious. Highly infectious, utterly melodic, totally charming. This is a glorious tune, named for a Mexican artist of some repute. The energetic bounce of this track is purely magnetic. It's hard to sit still while listening. The fluid interplay between the bass and lead is perfect, and the drums and rhythm guitar are locked into a very effective supporting role. The keyboard adds a nice touch of soulful ambiance. My, oh my! What funky country pickin' have we wrought here? The harmonica gives it an air of soundtrack coolness. This is very simple, but very effective. It chicken-clucks right along, with that Hee Haw mentality when Roy Clark used to wear his overalls and plaid shirt, and put forth that great big chubby grin of his. If you've ever seen that face, you know what this sounds like. Great. Spanish feeling, collaborative melody line, and good feelings all around. This is quite nicely written, and very refreshing. Vibrato shimmery, slow and slinky, this permeates a warm summer's night on the beach of a sleepy lagoon with a bit of wine and your sweetie. Really nice romantic song, with a gentle breeze passing through. Twango deluxe, smooth delivery, and full bodied melody lines. A solid country based tune for driving the old Plymouth down I-5. Infectious, and catchy.